Thursday 18 April will mark the seventh date in the PArCo Thursdays series: the cycle of conferences scheduled every Thursday afternoon in the beautiful location of the Curia Iulia. This week’s guest is Paolo Sommella, member of the Accademia dei Lincei and professor emeritus of ancient topography at the university “La Sapienza”. 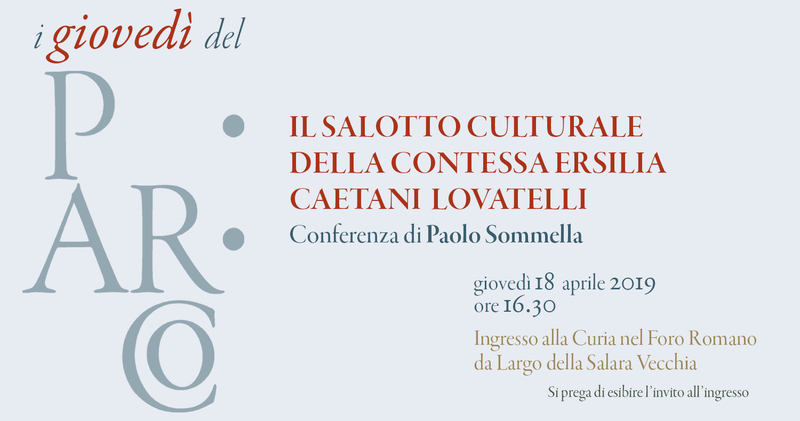 At 16:30 the professor will begin his talk on the crucial moment of transition between papal Rome and Rome the capital of the new Italian state, seen through the presence of the politicians, artists and scholars who frequented the literary parlor of Ersilia Caetani Lovatelli, archaeologist and scholar of history and Roman antiquities, not to mention the first woman to be elected member of the Accademia Nazionale dei Lincei (1879).